﻿﻿﻿﻿It’s 6.30am on Sunday morning and whilst everyone is nursing their sore heads from last nights England vs Brazil World Cup defeat, I’m sat in my kitchen, attending to my achy feet as a result of some crazy dancing at the first ever Behind the Castle (BTC) festival at iconic Sherborne Castle. And the song that’s playing on my Spotify right now is…What a Beautiful Day by The Levellers. Which pretty much sums up the whole day and was one of the songs that which everyone went a bit cray cary for including myself. If you haven’t heard of Behind the Castle, bring yourself up to speed and have a read of my interview with festival founder Ian Lyster here. In the words of Ian, the festival was going to be all about the music and he was true to his word. Anyway, here’s my review from some of the BTC acts. Enjoy! Newton’s set was at 4.15pm, a perfect time to be chilling at the back with a cider, hanging up with friends, soaking up the sun and listening to some tunes. 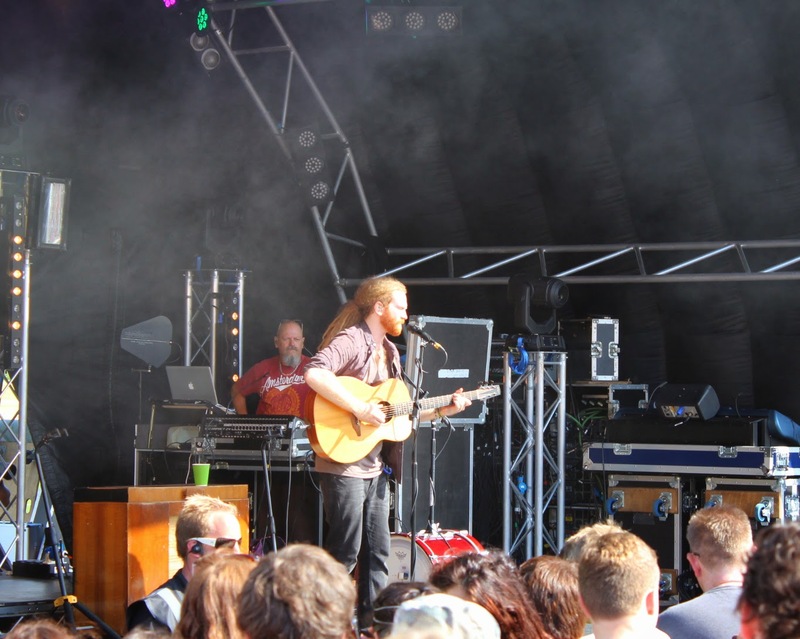 It was just Newton and his guitar on the main stage, giving a real stripped back acoustic vibe which worked well with the sun blazing down and created a very chilled out vibe. He played some tracks from his latest album Studio Zoo, a few faves from when he first started out. As well as Teardrop by Massive Attack, which I think may have confused some of the younger audience, and a Justin Timberlake cover which definitely got the crowd going. 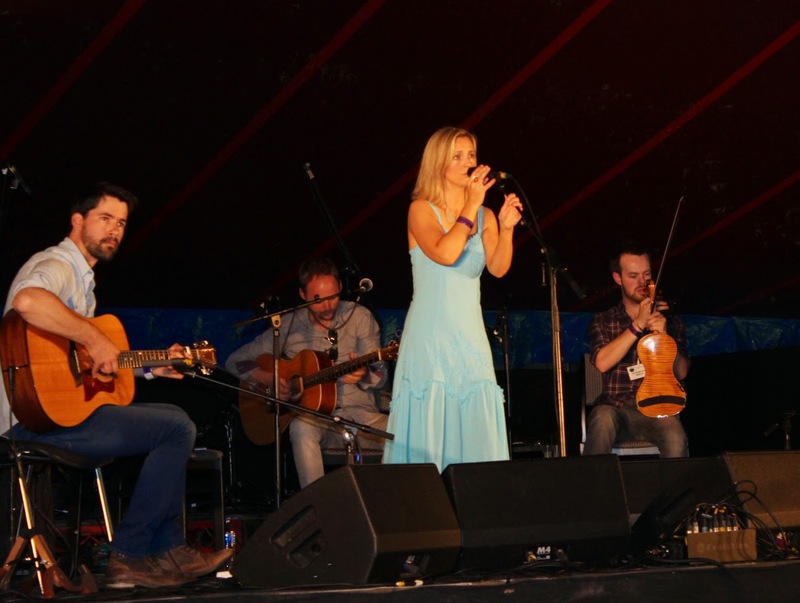 Stage 2 was an intimate tent which made it the perfect setting for Cara Dillon at 5.20pm. Also, a popular hangout for the bar! For those who haven’t heard of Cara, check out her website. Hailing from County Derry, Cara is very true to her Irish roots and gives the most magical ethereal performances I’ve seen from a female singer in a long time. Now, I don’t usually like comparing artists, but I would go as far as saying she has a touch of the Eva Cassidy about her. 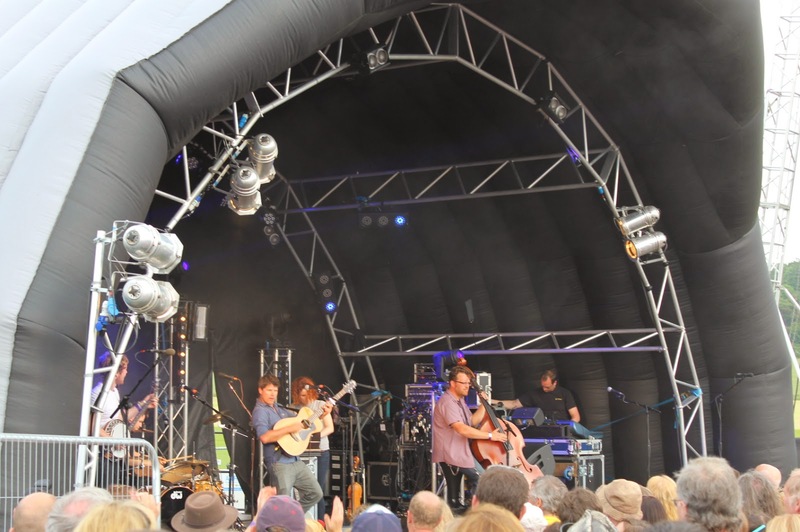 Cara is playing at a number of festivals this summer, and is playing at the Octagon Theatre, Yeovil on 2nd July – definitely one to head to if you love heart-warming, feet stomping, clapping folk. Back out to the main stage at 18.15 for a spot of food and Seth Lakeman. I went for a Japanese beef burger from Not Just Sushi at a reasonable £5 which hit the spot. 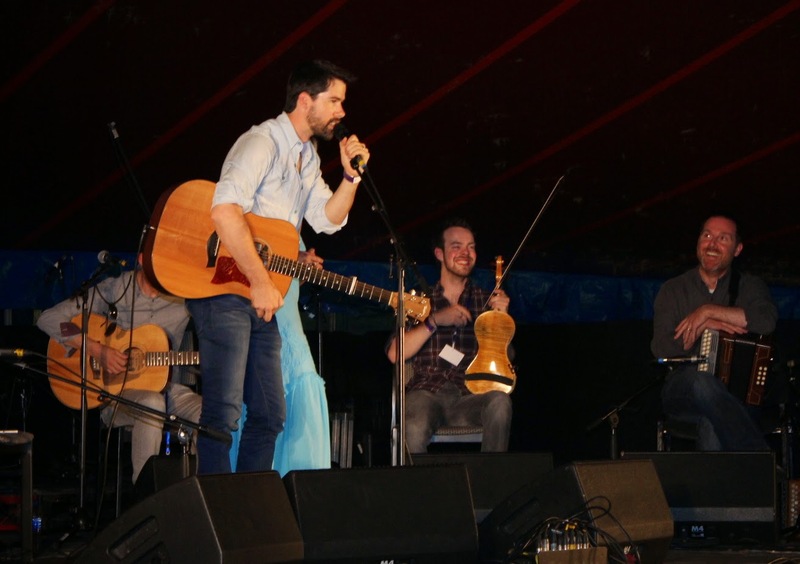 Now if you haven’t seen or heard of Seth Lakeman, where have you been? He’s a folk singer, songwriter, multi-instrumentalist, Mercury nominated (2005) musician from Devon and having met him in person is rather very lovely and easy on the eye. Check out Seth’s website to find out which other festivals he’s appearing at this summer. 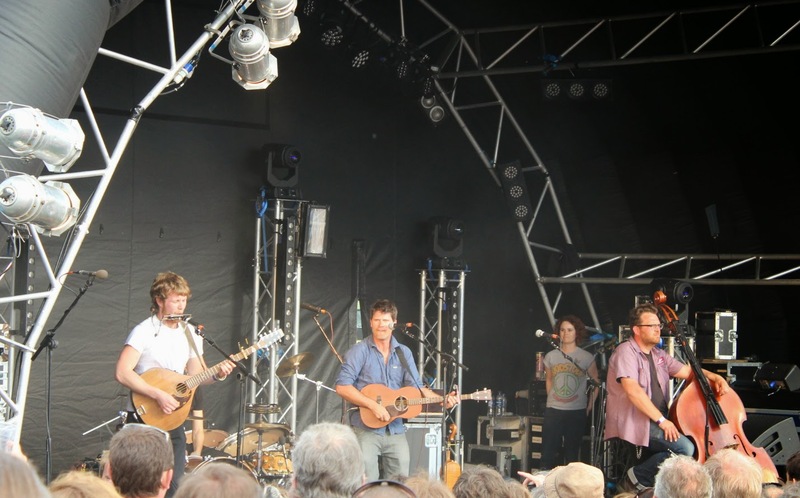 If you’re not sure about folk, go see Seth Lakeman and his band and you’ll be converted. ﻿Now it was founder Ian Lyster who gave me this tip to go see Sheelanagig and according to my Bristolian friend’s they’re mental! So, at 8.30pm we headed back into Stage 2 and pitched up just behind the mosh pit. Sheelanagig most definitely got the festival party going, I’ve never seen so many people jumping and throwing shapes in a tent without a care in the world. And I love it when a band can control the audience to make them sit on the floor, nearly as nutty as when Mike Skinner from The Streets who got the whole of the V Festival audience to put their shoe in the air. You’ve got to love a bit of festival craziness and these guys had it in buckets. Hand on heart, these guys are probably one of the best bands I’ve seen live in a very long time and I ‘need’ to see them again just to experience those 40 minutes of pure hedonistic bliss. Check out their website to see where you can catch them next. 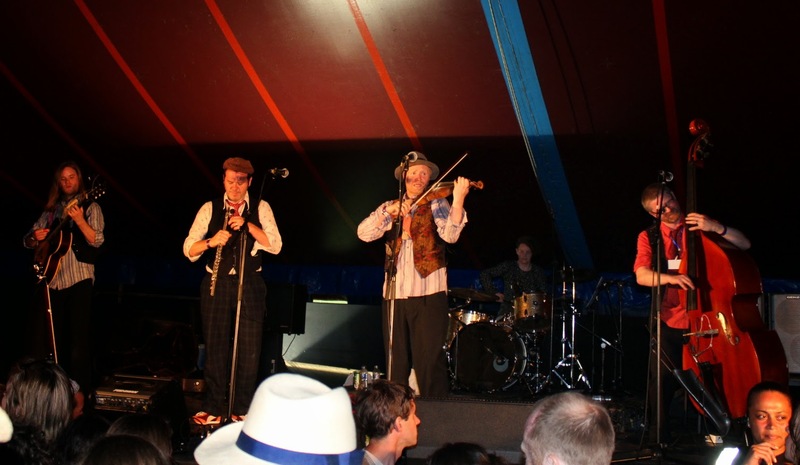 And if you’re in Dorset they’re playing at Abbotsbury Festival on Saturday 5th July along with Steve Knightly, Miranda Sykes and many more folk artists. I didn’t even know this festival existed…definitely one to try and attend. So, after Shelanagig we pretty much bounced our way back over to the main stage and missed the fantastic announcement that Behind The Castle will be back in 2015 which is amazing news. Now, I must confess, I think The Levellers passed me by when I was growing up, so I wasn’t too familiar with their songs. 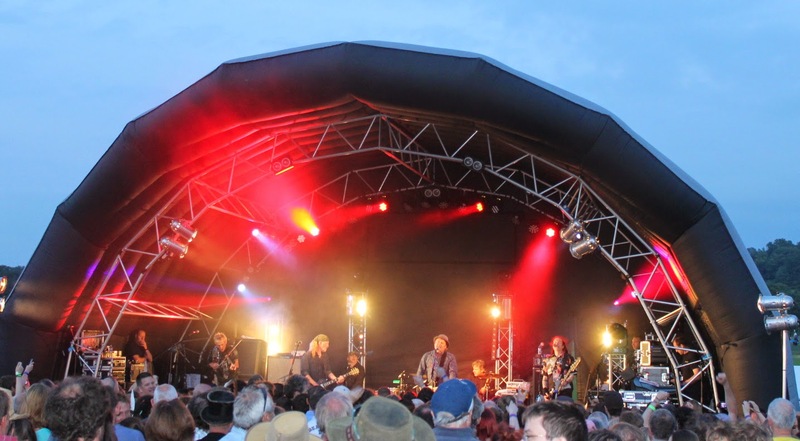 They’ve been going strong for the last twenty five years and even set up Beautiful Days festival in Devon back in 2003, which is incredible. 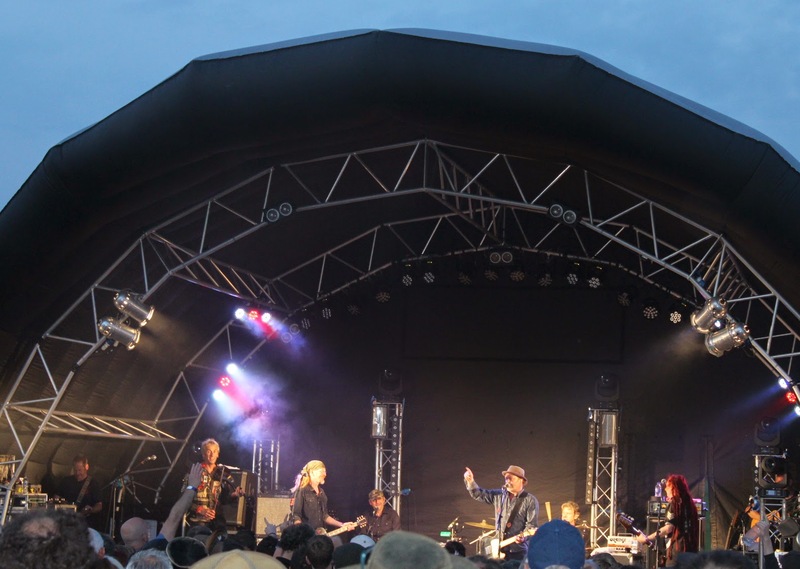 It’s not hard to see why they headline so many festivals around the UK, they’re a real crowd pleaser and get everyone going. It was a great moment to step back and take in the scene, you had mums, aunts, uncles, grandparents and the kids on dads shoulders all dancing care freely. There was certainly something quite special with the sun setting over Sherborne Castle, dancing in a field in Dorset with my friend from school, to It’s a Beautiful Day. Definitely a beautiful moment I’ll remember for a long time. For a first time festival, I think Ian Lyster and the team should be very proud of themselves. I know I had a totally awesome time being part of something very special. Aside, from the great music there were no issues with parking or traffic, it was within easy walking distance, and plenty of posh toilets with loo roll. Small little teething problems was the queue at the bar and running low on cider and wine, which must have been a stressful moment. Dorset folk sure do like their cider and with the sun shining they must have been drinking it by the gallon! And yes, apart from watching the bands, drinking cider, sunbathing and taking in the Dorset air there’s not a lot else to do, so if you have children bring some entertainment. I had an awesome pink and blue loom bracelet designed by a friend’s son. If I could sum up Behind the Castle. It would be sunshine, music and friends. Simple, what more do you need? So, I look forward to Behind the Castle 2015 and discovering more musical gems. Watch this space to see my interviews with Newton Faulkner, Seth Lakeman, Cara Dillon and Sheelanagig.